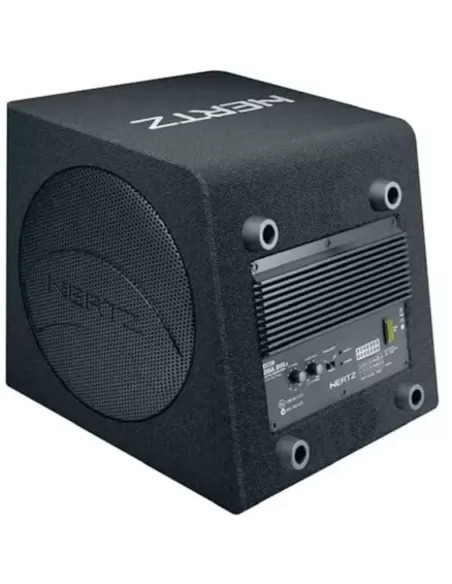 251 x 118 x 265 mm. For newer vehicles the interior space is always precious and thus it becomes more and more difficult to find a place for the subwoofer box. 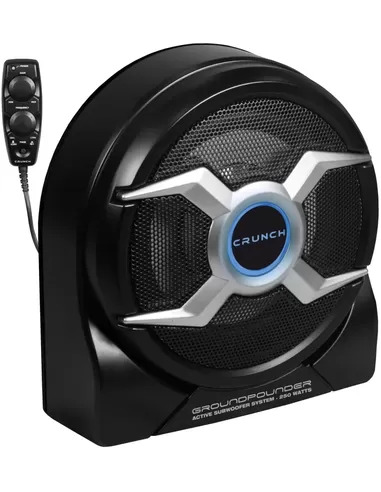 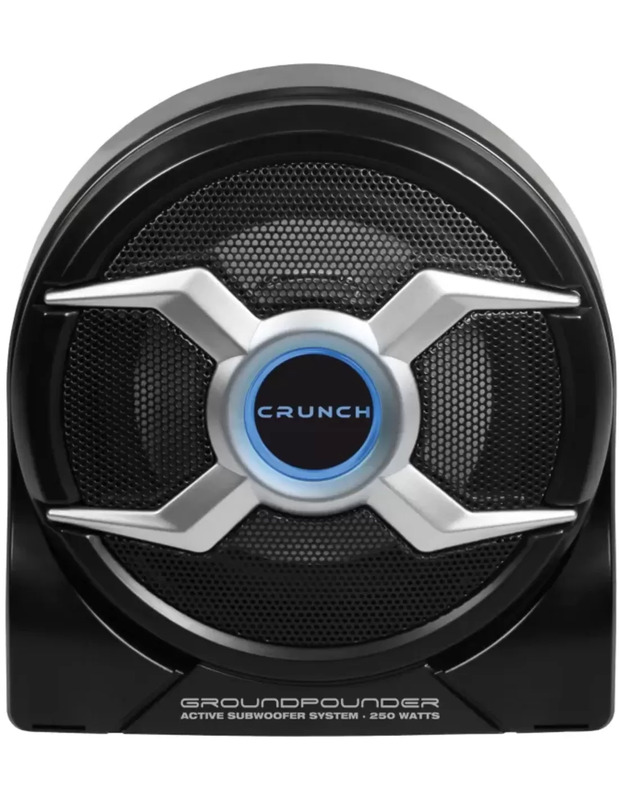 CRUNCH come to the rescue and presents with the new GROUND POUNDER active subwoofer systems three high quality models in robust aluminum housings, which ensure proper bass in very compact dimensions. 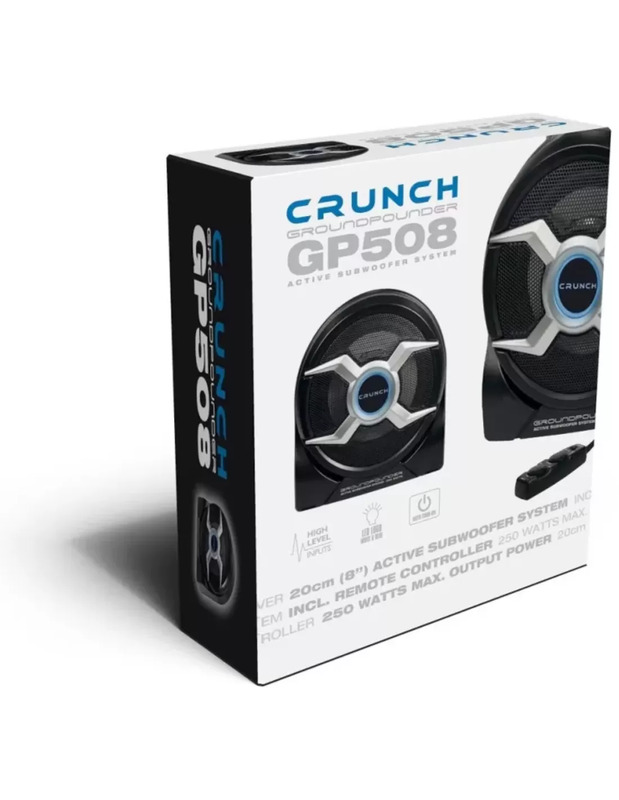 The compact mini-sub GP508 delivers an enormous low bass for its size and comes up with another highlight: with the refined Bass Remote Controller you can adjust the bass level and the crossover frequency as well as the phase out from the driver‘s seat.